“I believe in you, and I believe in your destiny. I believe that you are contributors to this new civilization. I believe that you have inherited from your forefathers an ancient dream, a song, a prophecy, which you can proudly lay as a gift of gratitude upon the lap of America. I believe you can say to the founders of this great nation, “Here I am, a youth, a young tree whose roots were plucked from the hills of Lebanon, yet I am deeply rooted here, and I would be fruitful. I believe that even as your fathers came to this land to produce riches, you were born here to produce riches by intelligence, by labor. And I believe that it is in you to be good citizens. And what is it to be a good citizen? It is to acknowledge the other person’s rights before asserting your own, but always to be conscious of your own. It is to be free in thought and deed, but it is to know that your freedom is subject to the other person’s freedom. It is to create the useful and the beautiful with your own hands, and to admire what others have created in love and with faith. It is to produce wealth by labor and only by labor, and to spend less than you have produced that your children may not be dependent on the state for support when you are no more. It is to stand before the towers of New York, Washington, Chicago and San Francisco saying in your heart, “I am the descendant of a people that builded Damascus, and Biblus, and Tyre and Sidon, and Antioch, and now I am here to build with you, and with a will. Like all people, Arab Americans are too often described in simplistic terms. Although the Arab culture is one of the oldest on Earth, it is, in many parts of the United States, misunderstood. There are no easy, one-size-fits-all answers. Culture, language and religion are distinct qualities that act in different ways to connect Arabs, and to distinguish them from one another. The differences that seem to separate Arab Americans from non-Arabs can be much smaller than the variations that at times differentiate them from one another. It takes time to learn the issues and to understand them, but it is essential and rewarding for us to do that. Misunderstanding ultimately hurts each one of us. Who are The Arab Americans? Arab Americans are U.S. citizens and permanent residents who trace their ancestry to or who immigrated from Arabic-speaking places in southwestern Asia and northern Africa, a region known as the Middle East. Not all people in this region are Arabs. Most Arab Americans were born in the United States. How many Arab Americans are there? This is the subject of some debate. Estimates vary because the U.S. Census Bureau does not use an Arab American classification and because people identify themselves in various ways. Some Arab Americans identify themselves as Middle Eastern, for example. Recent immigrants from many countries are reluctant to give personal and confidential information to the government, and an increasing number of people have more than one ethnicity. Estimates of Arab Americans living in the United States are about 3 million. Arab Americans live in all 50 states, but about a third are concentrated in California, Michigan and New York. Another third are in these seven states: Illinois, Maryland, Massachusetts, New Jersey, Ohio, Texas and Virginia. Do Arabs have a shared language? The Arabic language is one of the great unifying and distinguishing characteristics of Arab people. Even so, colloquial Arabic differs from place to place. There are several categories: Levantine dialect (Jordan, Syria, Palestine, Lebanon), Egyptian and North African dialect, and Khalijji, or Gulf, dialect. Modern Standard Arabic (MSA) is a pan-Arabic language used in formal letters, books and newspapers. It is also spoken at Middle East peace conferences and on television news. Quaranic Arabic, like MSA, also is a widely spoken form of the language, but it differs in style and lexicon from MSA. Not all Arab Americans know Arabic, of course, as many are second-, third- and fourth-generation Americans. Do Arabs have a shared religion? No. 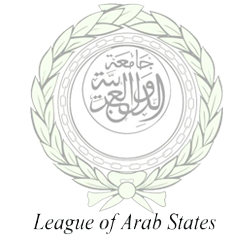 Arabs belong to many religions, including Islam, Christianity, Druze, Judaism and others. There are further distinctions within each of these, and some religious groups have evolved new identities and faith practices in the United States. Be careful to distinguish religion from culture. Although Arabs are connected by culture, they have different faiths. Common misperceptions are to think that Arab traditions are Islamic, or that Islam unifies all Arabs. Most Arab Americans are Catholic or Orthodox Christians, but this is not true in all parts of the United States. In some areas most Arab Americans are Muslim. How does conflict in the Middle East affect Arab Americans? Because Arabs maintain close family ties, even when separated, and because many Arab-American communities include recent immigrants, most people have a keen interest in news from the Middle East. Remember, too, that one reason many Arab American families immigrated was to escape the very conflicts that continue today. Mideast issues can unify the Arab vote in America. News coverage, including wire stories and headlines, must be balanced, accurate, detailed and fair. Reporters and editors must work to understand the issues. To which places do Arab Americans trace their ancestry? 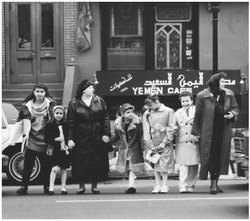 Arab Americans trace their roots to many places, including parts or all of Algeria, Bahrain, Egypt, Iraq, Jordan, Kuwait, Lebanon, Libya, Morocco, Oman, Palestine, Qatar, Saudi Arabia, Somalia, Sudan, Syria, Tunisia, United Arab Emirates and Yemen. Some Arabs are Israeli citizens. Many recently immigrated Arab Americans also know French. Why is that? Part of the recent history of Arab people is colonization by the French and British. In colonized countries, people in business and government had to know one or more European languages. When did Arabs come to the United States? 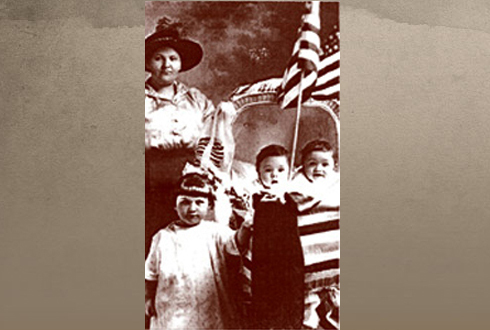 Today, most Arab Americans are native-born Americans. 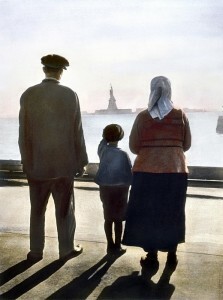 The first significant wave of immigration began around 1875. It lasted until about 1920. After a period in which the United States restricted immigration, a second wave began in the 1940s. Why did Arabs first come to the United States? Like many peoples who came to the United States, Arabs were seeking opportunity. Factors in the first immigration were Japanese competition that hurt the Lebanese silk market and a disease that hurt Lebanese vineyards. Most early immigrants were from Lebanon and Syria, and most were Christian. What prompted the second wave? After 1940, immigration to the United States was not for economic reasons as much as because of the Arab-Israeli conflict and civil war. This meant that people came from many more places. The second immigration also had many more people who practiced Islam, a religion that was not as familiar in the United States. Immigrants in this group tended to be more financially secure when they arrived than people who had come earlier for economic opportunity. Many people in the second wave were students. What race are Arab Americans? Arabs may have white skin and blue eyes, olive or dark skin and brown eyes. Hair textures differ. The United States has, at different times, classified Arab immigrants as African, Asian, white, European or as belonging to a separate group. Most Arab Americans identify more closely with nationality than with ethnic group. Are Arabs a minority group? This depends, in part, on your definition of minority. The U.S. government does not classify Arabs as a minority group for purposes of employment and housing. Arabs are not defined specifically by race, like some minority groups, but are united by culture and language. Some Arab Americans see minority classification as an impediment to full participation in American life. Others are asking for protection from the same issues affecting people in minority groups, such as profiling, stereotyping and exclusion. Are Arab Americans more closely tied to their country of origin, or to America? Who are some well-known Arab Americans? Christa McAuliffe, the teacher/astronaut who died aboard the space shuttle Challenger; Indy 500 winner Bobby Rahal; Heisman Trophy winner and NFL quarterback Doug Flutie; creators of radio’s American Top 40 Casey Kasem and Don Bustany; Mothers Against Drunk Driving founder Candy Lightner; Jacques Nasser, president and chief executive officer of Ford Motor Co., and Helen Thomas, former dean of the White House press corps. Does the U.S. Census Bureau collect data on Arab Americans? While the census does not specifically classify Arab Americans, it does collect enough data to present some population characteristics. Some of that information is on the U.S. Census Bureau’s Web site at www.census.gov, and is reflected in this guide. What is the educational level of Arab Americans? Arab Americans are, on average, better educated than non-Arab Americans. The proportion of Arab Americans who attend college is higher than the national average. Compared to the norm, about twice as many Arab Americans, in percentage terms, earn degrees beyond the bachelor’s degree. Key factors in this question are country of origin, length of time in the United States and gender. How do Arab Americans fare economically? Individually, Arab Americans are at every economic strata of American life. Nationally, Arab-American households have a higher than average median income. Like occupational patterns, this varies by location. Arab-American earnings are below the overall average income in Detroit and Anaheim. Do Arab Americans maintain ties with their home countries? Many do. They are very proud of their home countries and may maintain regular contact with relatives or friends there, as many Americans do. Arab Americans will sometimes joke with one another over which of their home countries is the best, but it is perfectly consistent to have loyalties both to their place of origin and their country of citizenship. Are Arab Americans active in U.S. politics? Yes. For decades, Arab Americans have voted, run for office and been elected. According to John L. Zogby, a pollster who is Arab American, 86 percent of voting-age Arab Americans in early 2000 were registered voters. In 1996, exit polls said 54 percent of the Arab-American vote was for Bill Clinton, 38 percent went for Bob Dole and 7.7 percent went for independent candidate H. Ross Perot. The 2000 campaign was the first in which both major presidential candidates addressed Arab Americans. Have Arab Americans won major political offices? Yes. In 1998, for example, 12 Arab Americans campaigned for the U.S. Congress in 10 states. Who are some prominent Arab-American politicians? They have included U.S. Senate Majority Leader George Mitchell, D-Maine; Energy Secretary Spencer Abraham; former secretary of Health and Human Services Donna Shalala; former New Hampshire governor and White House chief of staff John Sununu, and 2000 presidential candidate Ralph Nader. Is there an Arab lobby?